Although to be fair I’d rather Sandra up front rather than Darren Bent again. Nice to hear from Mr. Tyldesley today, a well written and amusing article like you would expect from a broadcasting giant. He gets a lot of stick, from me included, but that doesn’t, in my case, mean a lack of respect. It would be great to have more of these articles from people like him. P. S. Did anyone else read the article in his voice? No, just me then. Someone might want to point Rohit in the direction of the form book over the last 10 games…City are hardly “falling apart” by scoring the most goals, having the best goal difference and winning 9 out of their last 10! Just read the above subject article. A little optimistic to suggest that United even has an outside chance if being Premier League Champions this season. The defence has improved, but the real test for the entire team will be against PSG, City, and Liverpool. The boys put in a decent performance against Leicester. Still happy about the new manager’s approach. But we are still a long way away. I really hope we get a good partnership in defence going. I’m afraid that unless Phil Jones keeps improving, I’m not going to be particularly assured. Fingers crossed that we make it to 4th place. I’d like to be a voice of reason on behalf of Manchester United fans. I’m sure I speak for the majority when I say that I think most of us are just happy to watch a football team that goes out to win and play attacking football. No one expects us to win the league, CL or even the FA Cup but certainly the FA Cup is achievable with a bit of luck. Of course, it’s possible that we could win the CL – Porto won when they were quite unfancied – but most of us are level headed enough to realise there are better teams than us remaining, and it’s mathematically possible for the time being we could win the PL, but it would require other teams to drop a lot of points. Ultimately I’d be happy winning nothing but with De Gea, Herrera and Mata signing contact extensions. 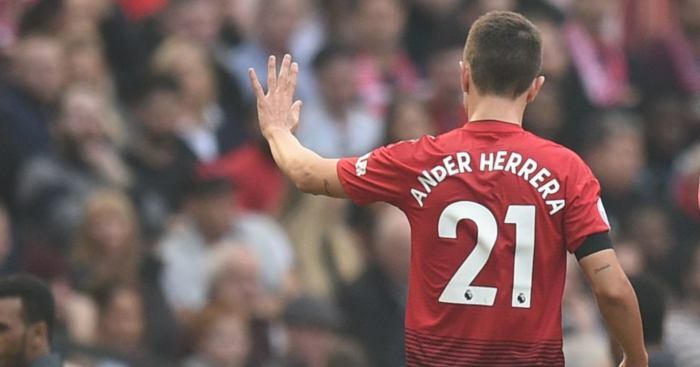 Ole has put the feel good factor back in when I was beginning to feel apathetic about the club, he’s put us in contention for CL football next season when Europa League looked questionable, he’s got Martial to stay, when it looked like our most promising players were looking for an exit. I don’t need trophies to show that we’ve already won something special. If Liverpool actually win the league, I’m moving to Canada. Or Australia. I don’t think I could hack listening to Liverpool fans. Liverpool winning the league? That would be the beginning of the end of the world. Thankfully though, I think they’ve had a few ‘wobblies’ and will leave the door open for City to save us all. Or, and dare I say it… Could United close a 14 point gap? God I hope so. Imagine Ole Ole Ole-ing our way to the title in May? And adding the FA Cup and Champions League? 20 year anniversary of the treble. Interesting. United won their first Premier League in the 92-93 season. Wow. His goal was 92:17. So that’s between 92 and 93. More facts. 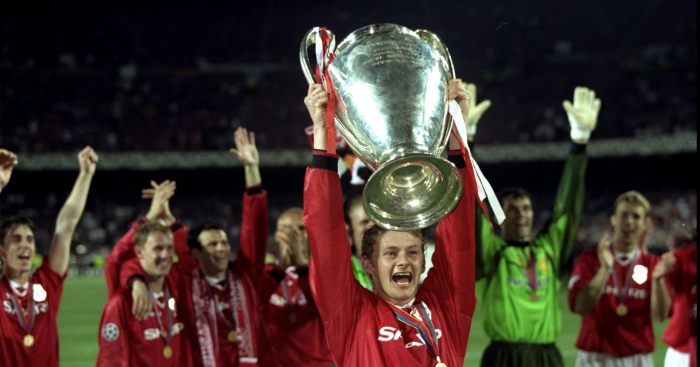 Solskjaer was 26 when United won the treble. United have won the FA Cup 12 times. Winning this year’s Premier League would be their 14th. United have won the Premier League 13 times. They have won the European Cup 3 times. 20. The anniversary of The Treble. Ok, let’s assume for one ridiculous moment that I’ve chosen the blue pill and Smiddy is absolutely right in his email about Klopp in this afternoon’s mailbox. Which other manager in world football who is available, affordable and would willingly join Liverpool, would you realistically like to replace Klopp with? And could you please explain why would that manager be a better choice than Klopp? The fact Klopp may not be perfect doesn’t mean he’s not the best option available. Jonny, MUFC has absolutely nailed it about Klopp. His goofy “Hey, look at me, I’m the fun guy manager” schtick bothers me way more than it should and I couldn’t understand why no-one else saw it too. I wouldn’t mind it so much if he didn’t become a complete prat as soon as things don’t go his way. Still think Liverpool will win the title but hoping against hope that someone, anyone beats them to the line because I think Klopp would be utterly unbearable if he’s the one to end their wait. 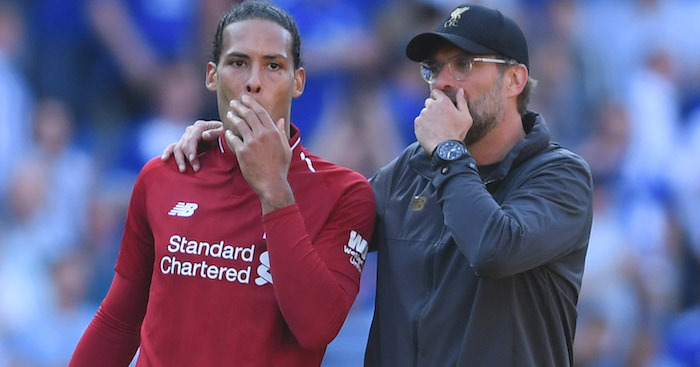 There’s been a lot said about Klopp over the last day or so, especially regarding his post-match reactions, Liverpool’s anxiety, and his record of frequently being second best. What I don’t think has been mentioned is Klopp’s ability, which in clutch situations seems to spectacularly backfire every time. As a United fan, I’m over it now, but I really wanted Klopp as manager when he left Dortmund. For me, he is the closest I’ve seen to Fergie, and that stems from his ability to motivate and get average players playing significantly above their level. The difference between the two, is that Sir Alex had a team where these average players (Fletcher, O’Shea, Park) were complemented by winners like Giggs, Scholes, Rio etc. When the going got tough, Fergie didn’t need to motivate them to play out of their skin anymore, the players did it themselves. The team not only had the belief, but they also had the quality. Klopp is a victim of his own creation, his players simply are not as good as he has pushed them to be. Liverpool still might win the league, and if they do, they should build a statue of Klopp and his gritted teeth outside the stadium. Can you imagine this Liverpool team coming up against some of the better Premier League winners in the past (United 98/99, Chelsea 04)? They would get mauled. Klopp has done an incredible job. Smiddy is definitely looking for a reaction, and he’s found one here; what complete horsesh*t about Van Dijk and Alisson joining Liverpool because it is the ‘easy’ option. You come across like such a spoilt little child because they drew a couple of games. Both players haven’t even completed their first full season (one of whom got to a CL final in their first half season), still sit top of the league, and you’re saying that they don’t care about winning? If Liverpool win the league – and I really hope they do – it’ll piss me off so much that you’ll be celebrating given the sh*te you’ve spouted here. And oh, Klopp has signed two players that have one major leagues, Fabinho (Monaco) & Shaqiri (Bayern). The latter also won the treble with Bayern, among other trophies. And I know you only value the major leagues, but Klopp’s signings have won numerous leagues – Alisson (4), Shaqiri (3 excl. Bayern), Keita (2), Van Dijk (2), Wijnaldum (1), Mane (1) among other trophies – along with Klopps two league titles. If anything, I say is the “non-existent” pressure for Liverpool to finally win the league that has affected this club in the recent past! And finally, can Tom Tractor etc. not see the irony of his snowflake rant? The most oximoronic statement in the English language in which people get offended by other peoples offense. 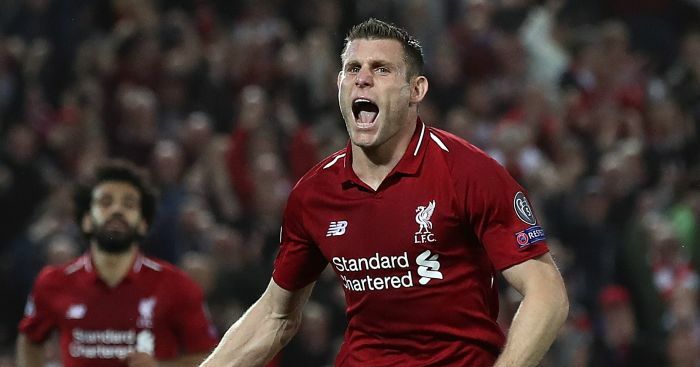 And even if it wasn’t stupid, his points were just something that all Big 6 club fans are guilty of (except Spurs I guess), so I guess you aren’t that neutral given your bias against Liverpool? When Marco Silva was appointed manager of Hull City, it was on FA Cup Third Round (the ninth round of the competition) weekend , when Sky weren’t showing any of the most interesting football matches to the wider audience (apologies fans of Scottish football and other European leagues but you can see my point) and therefore needed to be controversial to get attention. Silva had proven his worth in Portugal by taking Estoril into the top flight, earning the Sporting job, and then being offered the chance to manage a title favourite (Olympiakos), who also played in the Champions League. However, Paul Merson and Phil Thompson – I have the Mediawatch transcript archived – reacted as though he was totally clueless and out of his depth. 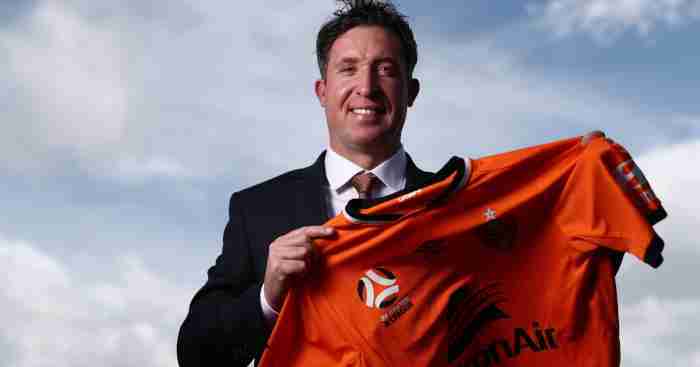 Thompson in particular described Silva’s appointment by City as “manna from heaven for him to be given a job like this”, before Merson ludicrously suggested that only the managers of Barcelona, Real Madrid and “probably” Atletico Madrid wouldn’t consider Hull a step up. At the time Carlo Ancelotti was managing Bayern Munich, and I presume he raised an eyebrow at that. Ultimately, had a player progressed from the Portuguese Second Division to the top flight, moved to one of his country’s biggest clubs before moving abroad to win a league title and get Champions League experience, they would be seen as a good signing for most sides in the bottom half of the Premier League. That should still apply for managers. Silva is not without his faults. 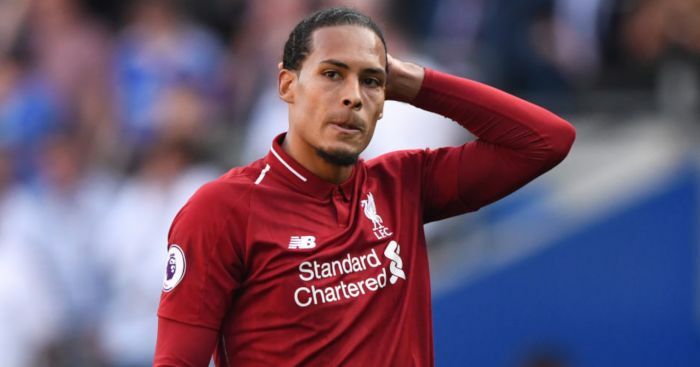 Despite featuring good players his teams are unable to defend with any conviction – his Everton side have kept five clean sheets this season: against Bournemouth and four relegation battlers (Cardiff, Fulham, Huddersfield and Crystal Palace). If the Toffees appointed a high-quality defensive coach to work on set pieces then they would see a difference, not least with Silva freed up to work with the attackers. In almost bringing this full circle, it sounds a bit like the role his predecessor at City, Mike Phelan, is currently doing at Manchester United – albeit having built a reputation as a tremendous coach while assistant to Sir Alex Ferguson. I think Silva still has plenty to offer to Everton, or to English football, so I hope he is given time to take Everton at least back up to seventh. If he doesn’t, he can always go back to solving mysteries with his dad. The is something rotten in english football. Specifically with the refereeing. The English are a funny people. Humility not their strong suite. “That would never happen here” they would say as they look at others with noses in the air meanwhile, Brexit is in full swing. Football, as we all know, is rotten to the core. From the highest level of FIFA, to the individual leagues such as Serie A, who can’t seem to go five years without a match fixing scandal. I have become very troubled with the refereeing in England. My suspicion first rose last year when Jon Moss (seriously how is he still a profession ref) inexplicably seemed to talk to a fifth referee in a booth at a time when VAR is was not allowed. Now we enter the meat and potatoes of the title race. “Every game a final” the papers quote. De Bruyne should have been sent off for two bookable offenses, but fate showered him with luck on the day. More troubling is no retrospective action from the FA. This was a high profile game. In the sense of SENSATIONAL SATURATED GET TO YOUR TV FOR FOOTBALL SUPER SUPER SUPER SUNDAY!!!!! Manchester United vs Liverpool, or however Sky is billing these things these days, kind of high profile, but high profile in the sense of what that game meant for the outcome of the premier league title. Which is presumably why the FA wanted one of their crown jewels to referee. He was awful. He’s gone on to be awful in subsequent games. Let’s explore Liverpool’s game last night shall we. Milner, who was acres off side, slides the ball across to Mane for a tap in. All because the linesman “hedged his bets”. Didn’t see that rule in the rulebook, to be honest. With that said, refereeing is a tough job, and even though the linesman job is to judge the line, he didn’t think Lallana was gonna get out of that situation (Not sure Houdini did either). Let’s talk about Origi then. Missed a last second opportunity. No flag. Replay shows the linesman was looking straight down the line when the ball was passed. Origi offsides by a mile. “They all even up at the end of the season”. How about referees call fouls in real time instead of trying to even them up as the season goes on. When is the FA going to take action and punish referees who are not up to the standard. Send them to the Champo to collect themselves then bring them back up? Instead England seems perfectly content with letting narrative paper over the cracks of what could be a malignant tumor festering under the English game. A lot of money is pouring into the league. TV money, Legal Sports Betting, Foreign investment, etc… Who are doing the checks and balances of where this money is going to? It seems endless and reckless. Watching the no call in the New Orleans Saints vs LA Rams game further highlighted for me that match fixing can happen at any level in any sport in the world. Yes, even the Premier League. Sweet Jesus the mailbox can be annoying when your team loses can’t it !? 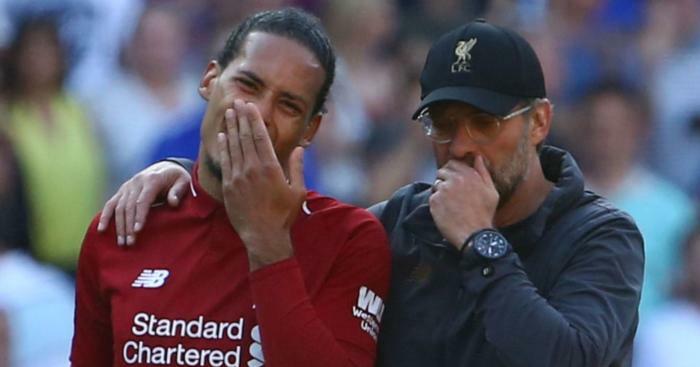 Liverpool draw 2 games and suddenly the luckiest team on the planet is getting their comeuppance, Klopp is now an angry Mourinho-seque bitter failure. I can just imagine a number of Utd fans desperately waiting with their emails primed so they can try to feel better about themselves having signed a deal with the devil (Jose of course) and blown half a billion pounds on dross. On a positive note lots of good points made about how Liverpool fans don’t think ‘it’s our year’ have not been lauding it over the rest of you and are essentially pleased just to be in this position. Thank you for your support, we really do know our place and know it’s not our divine right to win, but we would quite like to, having worked so hard to get this far please. Pretty please, just this once and we’ll go away for a while. 1) the baby faced assassin – couldn’t do anything at Cardiff, does well with mould…. sorry Molde, walks into Old Trafford with the players energy drained, unhappy annoyed highly paid superstars, then puts them in their rightful places and gives them the freedom to express themselves…. wow, what a legend, how did he manage that…. Paul Ince was right. So now he’s the 2nd coming, Sir Alex Ferguson incarnate, and now according to the latest mailbox Utd are going to win the league !?!?!!!?? We love you Ole, what’s the meaning of life and the cure for cancer please…..
2) Pochettino – no signings, Kane and Alli injured, completely written off and they keep winning, scoring last minute winners with Foyth, Winks, and even Llorente contributing. He must have a drink with Levy after each match, their vintage scotch glasses clinking as the ice rattles around the old single malt and they look at each other laughing and say ‘how do we keep doing this……’ quietly efficiently effective and not ‘Spursy’ at all. 4) Sarri – Higuain to the rescue, a few more nice wins to paper over the cracks of Hazard leaving, Sarri ignoring the kids and the team playing one dimensional football with players out of position. They will randomly scrape 4th won’t they and Sarri will be let go as that’s just what Chelsea do isn’t it. Abramovich is creating his own version of the Chelsea Pensioners isn’t he !? 5) Klopp – happy smiling lovely Klopp, showing those dirty international middle eastern charlatans how to win the proper way to Flopp failure…. see above for further as I’ve already said it. 6) Emery – he’s got a job on his hands doesn’t he ?! Clearly had it with Ozil which seems excessive, paying the price for boardroom apathy and a revenue generation mentality. In the cold light of day he needs 2 seasons, we all know this but in this instantaneous, change your mind snowflake mentality every result recalibrates his effectiveness from divine beauty to gargoyle….. I weep for him and those braying the incomprehensible ‘retournez Monsieur Wenger, maintenant sil vous plait….’ give the fella a break, you know he needs time. Would like to give some anectodal support to Hugo NUFC, Adelaide’s mail. I don’t have hard numbers or anything but the EPL is very much a global brand and I don’t need stats to tell you that over here in Malaysia and plenty of other countries, it really is the most popular sporting league. Its not unusual for people to be walking around with T-shirts of EPL teams (it also helps that our local league is horrible). While many of us global fans don’t claim to have the hometown or local connections, many of us have supported the same teams for most of our lives (and let’s be real, not all of Manchester United fans in England live in Manchester either). We’re not all plastics. I don’t believe that the exponential growth of the rights will grow forever, there is after all an upper limit to how much people are willing to pay for them but they are not going to drop down to zero or the pre-Premier League days. Football in case people haven’t noticed, is the most popular sport in the world and naturally a lot of people want to watch it. Bars and shops with TVs are filled here with people watching EPL matches on the weekends. I know people like to make fun of the Greatest League In The World line and whether it’s objectively true but at the end of the day it is the most popular league in a lot of places. Its certainly the primary sports me and my friends follow on television for most of our lives. John Nicholson’s article is also weird because he laments both the influence of money and the pricing of tickets. As far as I’m aware one of the arguments Twenty’s Plenty campaign puts forth is that teams earn so much from the TV rights that they can afford lower tickets prices. If those TV rights fall down a cliff (which it will but probably not to the point where the money isn’t “big”), where do you think these clubs will try to make that up? They are sure as hell would at least be less likely to lower it. Clubs like Manchester United, Manchester City, Chelsea, Liverpool and Arsenal are all big global brands and are very good at leveraging revenue from there. Just look at how Ed Woodward for all of his football failings have managed to make Manchester United have an official sponsor for everything including tires and noodles! If the TV revenue collapses, the big clubs will lose revenue like everyone else but because they already have other big revenue streams they’ll still have plenty of money to throw away to buy expensive players relative to most of the other clubs in the league. Pandora’s Box has opened, it will not be closed again. It may shrink to some extent compared to now but commercialization and big money in in the first division here to stay.